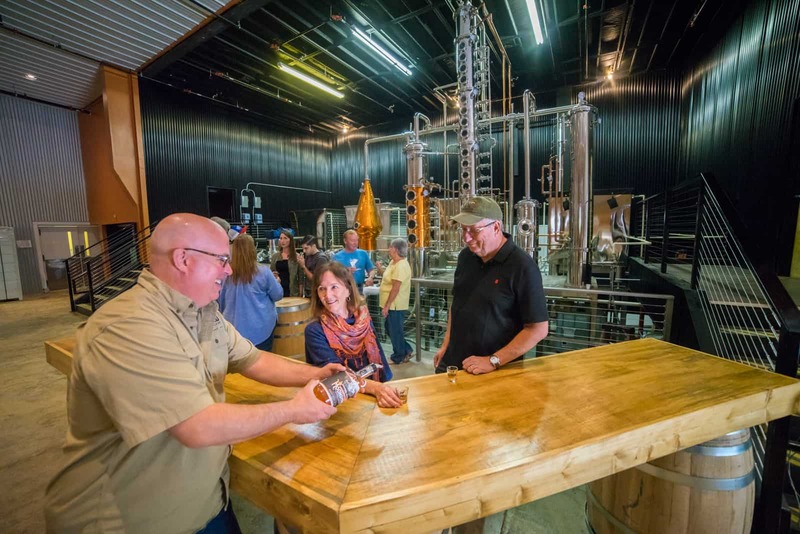 Come take a tour of Elevated Mountain Distilling Company during our normal business hours, Monday through Saturday from 10:00 AM until 7:00 PM. We are closed on Sundays. Tours are $5.00 and include a free shot glass. If you want to understand how we operate, the best method is to see for yourself! Call ahead to 828-944-0766 to get group or individual reservations. Learn about the farmers who we work with and the farm-to-bottle process. Throughout the tour, all of your questions are welcomed. We want you to have a genuine whiskey experience and leave with a better understanding of how your favorite whiskeys and spirits are made! Our whiskey and spirits tasting takes place after each tour to help you appreciate the complex nature of our products. We recommend you drink responsibly. Of course, we want you to have fun. That’s what Elevated Mountain Distilling Company is all about!